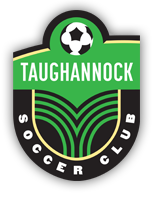 The Taughannock Soccer Club offers varied opportunities for soccer experiences at both recreational and competitive levels of play. These opportunities are available almost year-round. The TSC will make every reasonable effort to facilitate a member’s desire to play soccer at the member’s desired level of play. The only limits to this goal and/or participation in a given program are the pool of interested players from which fully-rostered teams can be created, and the number of adult volunteers, who step forward to coach these teams. Each program requires a participation fee, which varies with the program or league. Additional fees for referees, tournaments, or uniforms may also be incurred, again depending on the program or league.